Almost a decade has passed since the end of the civil war in Sri Lanka, but progress in terms of addressing the factors that led to the conflict has been glacial. President Sirisena, elected in 2015, was hailed as a progressive figure, but thus far, the Sri Lanka Campaign notes, ‘no one has yet been held accountable […] for serious crimes committed during the armed conflict’. The government has failed to account for one of the highest numbers of enforced disappearances in the world. Whilst Sirisena has paid lip service to reconciliation, there has been an expansion rather than a retraction of the military apparatus as it expands into economic sectors such as tourism. Is Sri Lanka committed to reconciliation? Re-examining Sri Lanka, one sees the failed promises not as incidental but as underlying the core of the Sinhala nationalist ethos that has animated violence. The military’s suppression, surveillance and control of the Tamil-dominated north and east is an imperative for maintenance of the Sinhala order and its historic narrative. It is through these activities that the state is able to provide a hegemonic narrative of the war, justify its expanded apparatus, and suppress dissident voices. Furman illustrates the salience of the first point as she notes that ‘there were 27 Thuyilum Illams (graveyards for fallen LTTE fighters) scattered throughout northeast Sri Lanka, massive complexes with hundreds of graves each. They’ve all been destroyed’. The Sri Lankan military has even constructed military bases on top of some of the grave sites. It is not only the destruction of graveyards, but the criminalisation of Maaveerar Naal (Heroes Day) – a day established by the Tamil community to commemorate the fallen fighters – as a ‘terrorist activity’. Tamil Guardian notes that, in an attempt to eradicate this festival, security forces routinely threatened Tamil students at the University of Jaffna, stormed their dormitories, attacked peaceful protesters, and mandated the ‘arrests of student leaders by the terrorism investigation unit’. In doing so, the security forces attempt to maintain a climate of fear in order to silence dissent. In November 2017, Tamil Guardian reported that ‘over 250 Tamils were arrested in a province-wide police operation conducted in the North’. The newspaper sees ‘a yearly spike in arrests in November as police and security forces attempt to intimidate communities against organising for Maaveerar Naal remembrance’. Perhaps the most egregious form of repression involves the intimidation of activists seeking to reunite with those who have disappeared during the war. In Sri Lanka there are approximately 60,000 to 100,000 cases of unresolved enforced disappearance. Whilst the state established the Office of Missing Persons (OMP) in 2017, Tamil communities are disillusioned by its inability to provide answers, and they view the office as the latest in a line of government-led commissions that have provided no answers. Local activists organising marches outside government embassies and on the streets demand an answer about the fate of their loved ones, ‘including the release of lists, known to have been collected by the military, of all those who surrendered or were detained at the end of the war in 2009’. In a joint letter, the Sri Lanka Campaign for Peace and Justice, People for Equality and Relief in Lanka (PEARL), and the National Network of the Families of the Disappeared and Missing Nepal (NEFAD) noted that such a list would include information ‘about the many hundreds of Tamil civilians […] who were witnessed surrendering to the armed forces at Vadduvakal bridge on 18 May 2009, […] what is believed to be the largest single group disappearance in Sri Lanka’s history’. Members of the disappeared, mostly mothers, have gathered for over a year demanding answers. 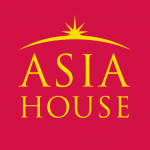 They routinely face intense surveillance by the Sri Lankan Civil Security Department (CSD) and threats from the security forces, and there have even been reports of violent attacks. Furman describes this resilience as ‘a rebuke and an ongoing challenge to the state’s effort to bury their memories’. A ‘victorious’ narrative is created through establishing war monuments and reclaiming victims’ sites through war tourism, where Sinhalese tourists visit conflict zones. 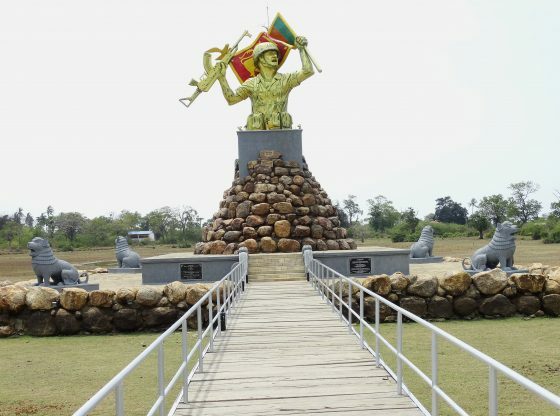 In Mullaitivu there is a monument of a soldier whose torso rises from the rubble; in his left arm he holds the Sri Lankan flag and in his right an assault rifle. The base of the monument is surrounded by stone lions, the symbolic animal of the ethnic Sinhalese which appears on the Sri Lankan flag. Mullaitivu was the last site of the conflict and locals read the monument as celebrating the atrocities that took place. Furman recalls one survivor stating in 2016: ‘Every day I have to walk past that monstrosity I am reminded of the horrors we faced.’ Today, Mullaitivu is so heavily militarised that there are approximately one soldier for every two civilians. The impact of the war monuments and tours is not just psychological. They also impede on the livelihood of the local communities. An example is Thalsevana Resort in Kakasanutharai, Jaffna. The land – approximately 6,000 acres – was initially seized by the military in the early 1990s and local fishermen were expelled without compensation. Despite local opposition, the military established a naval base there and still run a hotel, restaurant and holiday resort, attempting to appeal to foreign tourists. If just this one industry is taken as an example, it is sobering to realise that Sri Lanka’s goals are not reconciliation, but exploitation of the sympathies of the war. No official statement to the contrary can indicate otherwise. Virbuen Nandakumar is a recent graduate from the London School of Economics, where he completed an MSc in Political Theory. He also contributes to the online newspaper Tamil Guardian. Image Credit: CC by Wikimedia Commons/Adam Jones.